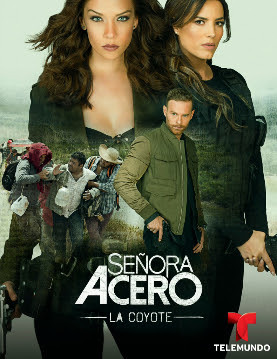 Read what will be showing on the new telenovela, Woman Of Steel 4 starting on Monday, December 12, on Telemundo in December. Marcelo learns that his daughter is expecting Mario’s son. Amaro accuses Indira of being a traitor. Tuti and Roscas form an alliance against Amaro. 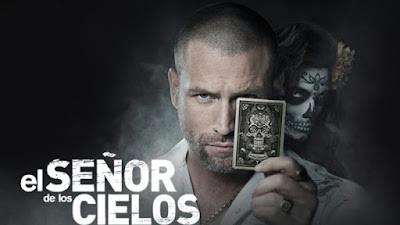 The President announces Chucho’s death on national television, accusing Vicenta and the Acero cartel. Indio’s men take Roscas’s wife and torture her. Mendoza tries to get a confession out of Salvador. The President comes face to face with Indio. Marcelo is attacked in prison. Indira talks with her son, but Nicolás’s father arrives and accuses Indira of kidnapping him. Meanwhile, Amaro arrives at Romero’s house. Ernesto is kidnapped and pressured into giving information about the documents he had. Mario Casas hits Andrea for visiting her father. Salvador is attacked in jail. Meanwhile, the Aceros prepare to face the President in public, but it does not go to plan. Phillips is shot several times during the chase. Andrea manages to communicate with her mother, and they meet in a park. Jaibo promises to help Chava. The President beats and tortures Vicenta, and lies to her, telling her that he killed Phillips. Indio Amaro and his people are detained at the border. Indio’s men kidnap Indira’s son. Chava learns that Vicenta is missing, but Jaibo assures him that he knows her whereabouts. Mario Casas learns that his wife has been investigating him and his medications. Meanwhile, Gaius is furious to learn that Débora left with his son. Débora arrives in Texas with the children, but the owner of the hacienda rejects them. Mario introduces Andrea to the nurse who will take care of her. Gallo makes a number of demands of the President, who is recorded confessing to his crimes. Meanwhile, Vicenta is transferred to the women’s prison. The President gives the order to prosecute Eladio Puerta in order to clear himself of any wrongdoing while also publicly clearing the Aceros. Gallo decides to leave for Tamaulipas with the whole family. Tuti is captured by the DEA. Indio Amaro and Romero meet in Mexico. Tuti is released by the DEA. Jorge reports the kidnapping of his son to the press. Salvador promises to work with Indio once he gets out of jail. Marcelo continues to interrogate Tuti. Carmencita is assaulted by one of Amaro’s men. Romero swears to avenge the death of his mother.